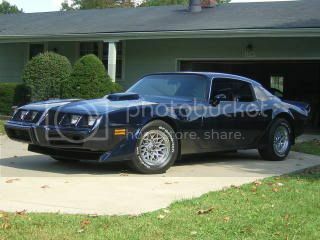 I was wondering why some trans am have the phoenix facing in different directions? also Is their any way to tell if a trans am has a ws6 package. The bird faces different directions from year to year. The hood decals changed styles in 79 and faced a different direction. What year is your car, you can measure your sway bar diameter which should give it away unless someone changed them already to larger ones. I take it you dont have a build sheet? HughJass said: What year is your car, you can measure your sway bar diameter which should give it away unless someone changed them already to larger ones. What is the diameter for the WS6? This may be of interest. The rear sway bar increased in diameter from 5/8" to 3/4". NO UNFORTUNATELY HAVENT FOUND THE BUILD SHEET. dOES THE COWL TAG GIVE ANY REFERENCE TO THIS WS6 PACKAGE? AFTER READING ON HERE WHERE TO LOOK FOR THE BUILD SHEET , IT WAS FOUND . dOES THIS MAKE THE CAR MORE VAULABLE WITH THIS SHEET? It's nice to have but I dont think it adds any real $$ value. The real value is you can see how your car was originally built at the factory. you can also tell if your car is a WS6 by looking at the numbers on top of the steering box.